So, according to the central government official Avakov, some “60 ‘terrorists’ with automatic weapons” who were “separatists” had fought against Avakov’s forces, and “20 separatists died,” while there was “only one dead on the government side,” even though they had been fighting “some 60 ‘terrorists’ with automatic weapons.” Who, then, were really the ‘terrorists’ here? The Ukrainian central government is having trouble lying: they’re not as skilled at it as their sponsors inside the U.S. White House and State Department are: they need lots of professional training. On May 5th, Reuters had bannered “Ukraine Moves Forces to Odessa, Helicopter Downed in East,” and reported that, “The violence in Odessa marked a watershed for Ukraine.” It certainly did. The myth that the Obama Administration is on the side of democrats in Ukraine is now ended forever. That “violence in Odessa” had occurred on May 2nd. 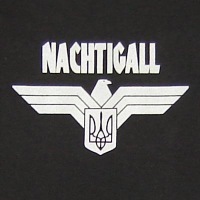 That’s when neo-Nazis, called “Right Sector” or “Pravy Sektor,” were sent in by the Kiev central government (the government that the U.S. installed to run Ukraine), to do what the local government officials in Odessa had refused to do, which was to kill all of the people who were occupying that city’s Trade Unions Building, where the workers were overwhelmingly sympathetic to the people who opposed Ukraine’s central government and thus didn’t resist this occupation of their building. The building’s occupiers also set up tents in front of the building, from which they distributed political literature that was unfavorable to the central government in Kiev. The central government ordered the local Odessa police to assist the Pravy Sektor people in this killing operation. At the start of that operation, a large number of the local police force publicly threw down their shields and walked off, very publicly resigning from the police force. “For the first time in history, an organized massacre of civilians has been filmed by many people from many different angles and perspectives while it was happening, and is documented in extraordinary detail in ‘real time,’ the perpetrators having no fear of any negative consequences from their endeavor, and even cheering and celebrating the tortures and deaths as they were being imposed upon the helpless victims. I wrote that, as the introduction to my news-report on that massacre, because after watching all of those videos, I was crying, and I wanted people to be prepared for a documentary experience that I had found, while preparing it, to be, in a way, even more gruesome than the documentaries on the anti-Semitic Holocaust were, because, this time, the perpetrators weren’t grim at all: they didn’t need to be paid to do this; it was play not work for them; you look at what they are doing and you see that it’s just one huge party for them; so many times their voices burst collectively into cheers as someone jumps from a window of the burning Trade Unions Building and isn’t even allowed to die in peace but is instead immediately attacked and beaten to death and the corpse is promptly just dragged off to who-knows-what, who-knows-where. (According to one account presented there, it was to someplace “six kilometers from Odessa,” but nobody other than the authorities and their perpetrators can really know for sure. Also included there is the still-photo of the first published list of the identities of the first 36 of the corpses that remained on the premises and were able to be identified. So many roasted corpses strewn around so many rooms of that building are hard to take, but the ones with gouged-out eyes are even harder to take; and the still photo of the young very pregnant woman who was lying on her back, half-draped over what was perhaps her work-desk there, after having been strangled to death by use of an electrical cord — a two-for-one killing occurring so late in a pregnancy — has a poignancy about it that is simply classic: this photo-image should be pinned to Barack Obama’s desk, perhaps near his Nobel Peace Prize. Barroso said that he personally favors the EU’s participating in Obama’s operation on this, because he wants the U.S. aristocracy to continue controlling the world: “Barroso, who said he had met Russian President Vladimir Putin more than 20 times during his time in office and had spoken frequently with him during the crisis, said Putin’s ambition to strengthen ties with some of the former Soviet Union states to create a new Eurasian Union was behind the crisis. ‘He wants to build on that and enlarge it to become a Eurasian Union, a kind of a pole of power opposed to the European Union, unfortunately,’ he said.” Barroso equated “the European Union” with Obama; and “a Eurasian Union” with an anti-European union, both positions being at least very questionable, and probably outright false. (After all, Nuland had said “F–k the EU.”) Yet, he acknowledged that perhaps Germany, and some other EU nations, might not agree with his dubious assumptions on this. If he really cared about such things, he could have just looked at those videos and seen the answer to that question — and reported on that matter — but it’s too hard to lie when the evidence is so blatant, so his newspaper wouldn’t do such a foolish thing. Even Judith Miller wouldn’t have done it. So, instead, Kramer just issued here the question, as if (and pretending that) it didn’t already have an awesomely documented answer, which he’s essentially not being permitted to report.